When it’s time to choose the building materials for your project, take a step above and beyond traditional wood for the window sills. While wood has been used for generations, natural stone is a popular option that looks amazing and adds visual appeal to any home. However, the cost for natural stone may not fit in your budget. When you want a product that looks and feels natural while costing less, you can choose between Corian and pure white engineered stone like Pure White Thazoz. Before you make the final decision between these two materials, you should understand how they compare to each other. One benefit of Corian is that you can purchase it in a range of colors, but this may not work with your project. Window sills can be very difficult to replace when changing the décor. 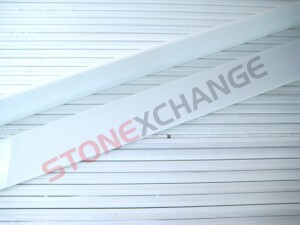 The great feature of pure white sills is that they’ll match every decorating style and genre. There’s no concern about a bold color clashing with changing window treatments when you go with a pure, smooth white shade. Manmade stone has a pure, true color of white that’s free of imperfections or other hues, and it will maintain its pure color for many years to come. It’s important to remember that Corian may turn yellow over time with regular exposure to the sun. The window sills throughout your home will receive direct sunlight every day, so you can expect the color to alter gradually with time. This isn’t a problem with engineered stones. Made from natural stones that are crushed together and blended with powerful adhesives, engineered stone is known for its ability to maintain its pure color and brilliant white finish for generations. Corian is popular because it’s so easy to clean. The non-porous surface is excellent at repelling liquids so that stains cannot set deep into the material. A little mild soap and water is generally all that you need to clean the surface and keep it looking great. Engineered stone also delivers this excellent advantage. The smooth surface is completely non-porous so that water and other spills just sit in place. It’s easily cleaned up with a damp rag and then any residue can be cleaned anyway with some gentle dish detergent. If you’re trying to go with a low-maintenance product that will look great for years to come, then Corian and engineered stone should both be at the top of your list. Window sills will become wet with the right weather conditions when condensation builds around the windows. Wood sills must be monitored closely to keep them dry and prevent the growth or mold or mildew. Bacteria can get into the material and seep down into the pores to form stains and create pervasive odors. When you switch to any non-porous material, you avoid all of these problems. People love natural stone because it’s naturally resistant to mold, mildew, and bacteria. You’re going to adore both Corian and engineered white stone for the same reason. You should still clean the window sills on a regular basis to keep them dry, but you won’t have to worry about harboring dangerous substances or reducing your indoor air quality. Not only will the materials continue to look great for decades to come, but you’ll also sleep better knowing that they’re truly clean. People consider Corian to be very strong, but it’s important to note that it’s not as resistant to damage as granite or other very hard stones. As a result, it may be prone to scratching. The scratches are permanent and cannot generally be buffed out. This may not seem like a big deal with a window sill until you consider how much the windows are used. Decorations that are set in place must be moved carefully. If fans are used in the windows, you may want to put pads under the edges. Animals that like to jump up into the windows or put their paws on the sills will have to be trained not to do so. A simpler solution may be to go with a stronger material that can withstand regular use and is not prone to scratching. With engineered stone, you can be confident that it will continue looking fantastic for many years to come. One of the biggest drawbacks to Corian products is the price. It is a more expensive material than wood, plastic, or attractive engineered stone. This is in part because it comes from a major brand name, and it’s also a result of the popularity of this material. While the price is lower than granite and other natural stones, it’s not as cost-effective as a generic engineered stone designed and manufactured by a reliable company. You can get the incredible look of white marble without paying the high cost of natural stone or Corian. The durability ratings for Corian vary from one supplier to the next. In general, you can expect a Corian counter or window sill to last 10 to 15 years before it starts looking worn and tired. Made from natural stone, white engineered marble is highly durable. You can expect the window sills to last for decades with just a little care. Not only are they more affordable on the front end, but they also last longer in the long-term to make them one of the most cost-effective options available. When you’re ready to order window sills for a small or large project, consider working with StonExchange. We have our own quarries overseas, and we take pride in offering customers the highest quality stones and engineered options. Our pure white thazoz has the appearance of true white marble without the high price. It’s just as attractive and water resistant as Corian, but it doesn’t have any of the downfalls. It’s resistant to scratching and an eye-catching option for any home or business. You’ll love the attractive pricing today, and you’ll be pleased with the impressive durability that allows this product to last for decades. If you’ve decided that man-made sills are the way to go, then call our team today to discuss your needs and place an order. We’re focused on customer satisfaction, and we believe that you’ll be thrilled with your beautiful white sills.